Safe design,Compatible with UL and CE certificate, Steady and precise output voltage. Over temperature protection, over load protection, over voltage protection.short circuit protection. 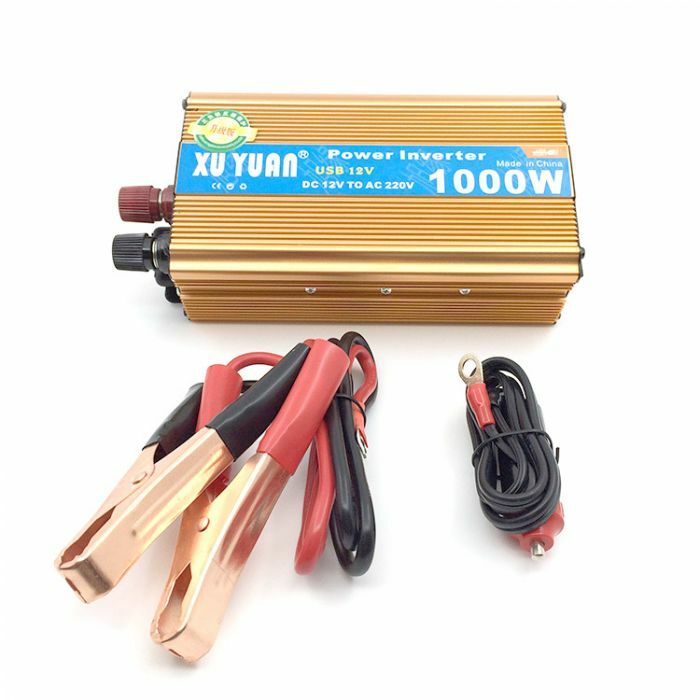 1000W car power inverter, convert DC 12V/24V to AC 110V/220V. Perfect for in-car use, powers up notebook/laptop, DVD player, digital camera,etc. With USB output, you can charge your cell phone, MP4, MP3... No more running out of batteries. Safe design(isolated input and output,opticalcoupler isolation transformer), Compatible with UL and CE certificate, Steady and precise output voltage. If necessary, use your Car Talk rag to clean off the battery terminals. 3.firmly connect the input clip with the battery post, and make sure the battery terminal clean enough, otherwise, input power may not stable, and turn this item to Low voltage shutdow.